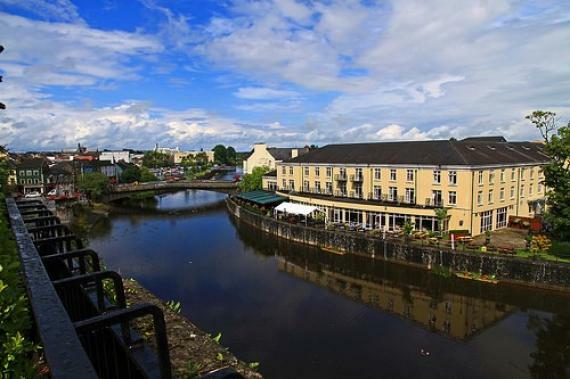 Kilkenny City is located on the banks of the River Nore, in Leinster Province, in southeast Ireland. It was once known as the medieval capital of Ireland, but today it is known as the inland's liveliest city. Kilkenny Castle is one of the most popular sites in the area. The castle was first erected in the 12th century and later restructured by stone in 1213. Three of the four towers that were built, remain today. Owned by Earls, Dukes and Marquesses, the castle and property grounds are open to the public to experience the beautiful gardens surrounding the castle. St Canice Cathedral is an exquisite cathedral that was build in the 1200's. Filled with beautiful stained glass windows, carvings and gorgeous multi-colored marble flooring, this cathedral is preserved in its style of originality. A visit to Kilkenny would not be complete without a visit to Kyteler's Inn. Located in the heart of the city, this pub has been operating since 1324. The original owner was Dame Alice le Kyteler who although she was very wealthy, she was accused by her enemies of witchcraft and was burned at the stake. Enjoy the history of this ancient Irish pub while you eat and drink delicious homemade foods and wonderful beers and wines, while listening to the lively Irish music. For shopping pleasure, the Kilkenny Design Craft Centre offers a huge selection of handcrafted Irish gifts. Each piece is unique and of the highest quality. The Centre is located across from the National Craft Gallery at the site, which was once the stables of Kilkenny Castle. St. Mary's Cathedral is located on James Street. Designed by William Butler and completed in 1858, the cathedral is made out of cut-limestone and sits on the highest point of the city. A sculpture of the Madonna can be seen here that was created by Giovanni Maria Benzoni between 1809 and 1873. For other remarkable sites to visit in Kilkenny, the Magdalen Castle, Kilkenny Courthouse and Gap of Dunloe offer beautifully historic architecture, where visitors can take in the charm and wonder of days gone by in lovely Ireland. Find information about selected Hotels, apartments and rooms in Kilkenny to choose the perfect place for your accommodation.